This refers to some variable values, the definitions of which are not shown here. 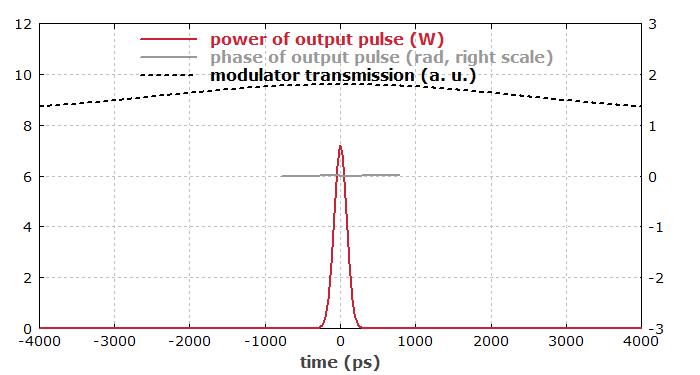 The gain function g(l) has a limited bandwidth of 0.2 nm, and the modulator modulates the resonator round-trip losses with 100 MHz and peak losses of 10%. The initial pulse duration was chosen to be somewhat longer than in the steady state. 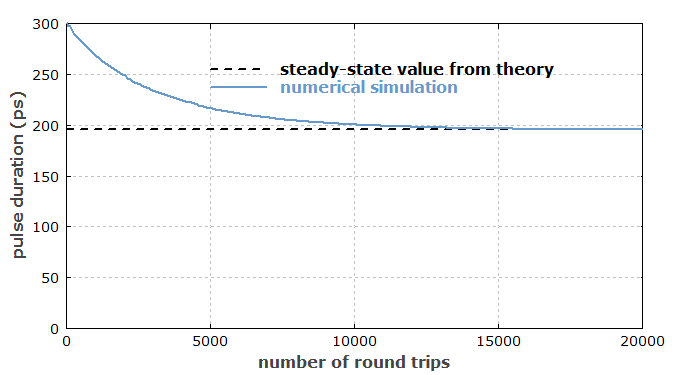 It is found that the steady-state value of the pulse duration agrees with the result of Kuizenga–Siegman theory (see the diagram below).